Rallye Deutschland is the ultimate Rallye Highlight in Germany. Rallye Cars blasting through vineyards, People cheering up and common ‘ooohhh‘ when a Driver leaves the road with a wheel or two. Rallye is real Sport, Motor Sport. The Cars are based on regular Cars, such as the Polo WRC Rallye Car is based on the Volkswagen Polo. The World Rallye Championship, short WRC, travels all over the World to drive on diverse public Roads. While the Winter Rallies in Scandinavia are driven on Snow with Spike Tires, in southern hemispheres they have to cope with the Heat in the summer months. Nevertheless, the Rallye Cars are usually blasting through tight roads and even tighter corners. After seeing picturesque Scenes of the Cars doing Hill Sprints up the Vineyard Hills last year on television I was hooked, just check out this scene. Besides long distance Races such as Le Mans, Rallye is one of the few Events with a, still, real Motorsport Feeling, in my opinion. The Base of Rallye Deutschland was in Trier in Germany, close to the Border to Luxembourg. As the Stages are up to 40km long, and there are plenty over the weekend, they are situated all around Trier. Spectators can pay Tickets for all Stages and the Media Park where all the Hospitalities and Workshops are, or for single ones only. I was invited by Volkswagen Motorsport to join them for the weekend, luckily I was able to visit several stages and also to access their areas. Watching the mechanics from very close, sharing the same buffet as the drivers and cheering for the Win of Sebastién Ogier next to his wife. Incredible Privileges that I really enjoyed so much. It also gave me a deeper look into all that is happening behind the Scenes. All the logistics, and regulations. On European mainland the Crew of three Polo WRC Cars travels with 10 big Trucks. Equipment, Offices, Kitchen and so much more. For the Races overseas, like in Argentina or Australia, they ship all their duplicate stuff in just a few Overseas Containers and the Cars are flown in separately right in time for the Rallye Weekend. Surrounded by hundred other spectators I had the most emotions. Men, old and young, families with small children up to elderly people, everyone was following the same passion. And even though everyone had his own favorite Team or Driver the whole Event was visited by happy and friendly people. It was such a pleasure to finally experience this weekend at Rallye Deutschland it was definitely not my last one. WRC, I’ll be back! 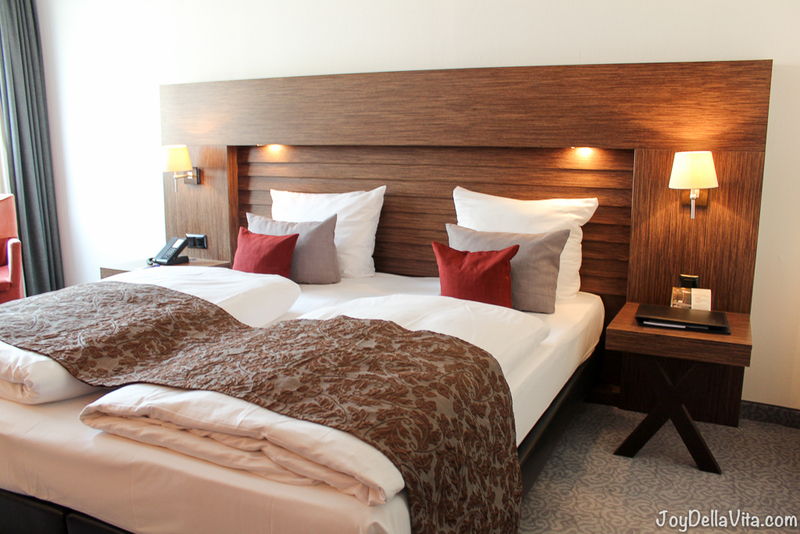 During the Rallye Weekend I stayed at Park Hotel Trier. So sad Volkswagen is leaving WRC , they will be missed !